Only an hour from Florence by train, Pisa should be high on your list of sights to see in Italy. The most iconic structure to see is Torre Pendente or the Leaning Tower, which was conceived as the bell tower for the splendid Duomo di Pisa (or Pisa Cathedral). Shortly after construction began in 1173, the tower started to lean due to the soft ground on which it was being built. Tower construction occurred in 3 phases over a period of 199 years. Numerous efforts were made to stabilize the tower and it was closed for a long time for safety reasons. In 2008 it was reported by engineers that it stopped moving for the first time in 800 years and that it should remain stable for at least another 200 years. 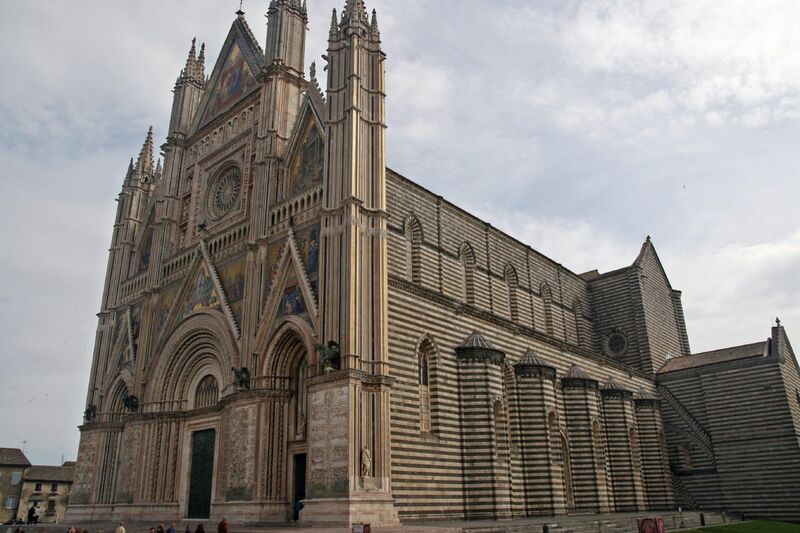 There is so much to see and do in this area of Italy – We can help plan the perfect GetAway for you – just call! This entry was posted in Europe, Italy, Travel, Tuscany and tagged leaning tower, pisa on February 28, 2019 by Paul - GetAway Travel Service. Italy will never be a normal country and we love it that way. This entry was posted in Cinque Terre, Europe, Italy, Rome, Travel, Venice on November 7, 2018 by Paul - GetAway Travel Service. 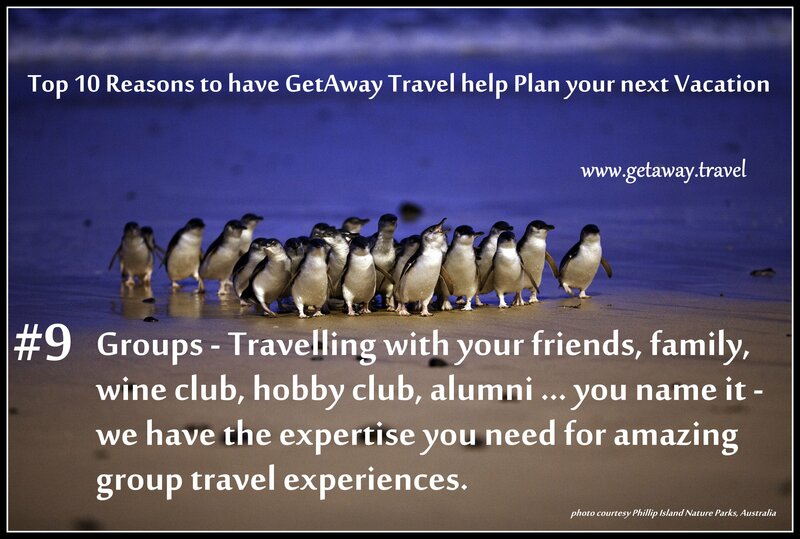 At GetAway Travel, we pride ourselves on great professional service to our customers. Travel industry surveys continue to relate that travelers that work with travel agents have more fulfilling vacations than those that do not. We certainly believe it is true, and obviously so do our clients. Our clients expect to be treated like friends and family. They are confident in our abilities. They do not expect to be “sold” on travel as we already know they want an amazing vacation, what they want is our opinions, our help and our support. One of the ways we support them is by maintaining professional agency affiliations. The affiliation that we are always most excited about is with MAST Travel Network – and unless you are in the industry, you likely have never heard of them. We’ve been MAST members for many years now, and in fact Sue currently is serving a term on the board of directors. MAST helps keep us up to date on the travel industry and products, but more importantly puts us face to face with suppliers. This week was the 12th annual MAST awards night and GetAway Travel came home with 2 awards which bring us great pride. The first award is for “Best Travel Show”, for our “Afternoon in Italy” event last February. The second award is the “Directors Achievement Award”, recognizing one of MAST’s smaller agencies for outstanding sales and support with highest percentage increases from one year to the next. This was a new category and we are truly blessed with being the first agency to ever receive this award. You should expect great things from your travel agency, and we hope that for you that the travel agency you rely on first and foremost for amazing vacations is us. This entry was posted in Cruising, Group Travel, Italy, Ocean Cruise, Travel, Travel Agent and tagged awards, getaway, getaway travel, leisure travel, professional on March 12, 2016 by Paul - GetAway Travel Service. Rich culture and history, amazing cuisine and diverse heritage are all packed into this amazing destination. Europe has some of the greatest intellectual and artistic developments the world has ever known. The landscape is dense with museums, cathedrals, monuments and palaces. Irresistible and intriguing, Europe continues to call us to visit. to experience the rich culture, history, and warm friendly people. There are so many places to go – where do you begin? From the oldest monument in Europe (Stonehenge) to the most amazing museums: Louvre in Paris, Uffizi in Florence, Guggenheim in Blibao, and the list goes on and on. From the rolling Tuscan countryside wine regions in Italy to the mecca of beer – Hofbrauhaus in Munich. From the pristine beaches at Normandy where the allies initiated the liberation of Europe in World War II to the defensive fortification of Hadrian’s Wall built in the 1st century AD. There are so many places to go and so many ways to see Europe that the best place to begin is right here with us. We can help plan the perfect trip that is right for you. 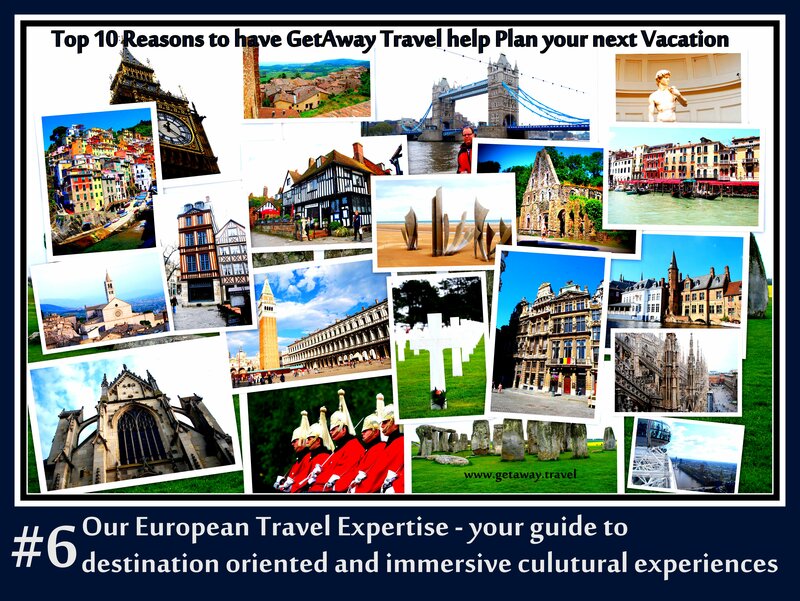 This entry was posted in England, Europe, France, Germany, Italy, Spain, Travel, Travel Agent on April 26, 2014 by Paul - GetAway Travel Service. Are you looking for a girls getaway to the Caribbean? How about a wine club tour of France, Italy or New Zealand? Would your church group like to experience the footsteps of St. Paul in Turkey and Greece? What about taking a group of your friends to Napa to celebrate a milestone birthday? How about a family reunion on an Alaskan cruise? Ski club trip to Vail? Scrapbooking club River Cruise in Austria? Choral group trip to Christmas markets in Germany? Foodies group at Walt Disney World food and wine festival? Etcetera, etcetera, etcetera. The possibilities are endless. We can help with generating ideas, the detailed planning, the marketing and of course getting everyone in your group to where they need to go. While we work with the group leaders to help craft the whole experience, we also make sure that we meet the needs of individual travellers within the group as well. For example, it seems that every single Google app we use always seems to be in beta version. Not a bad thing as one can assume it will (hopefully) keep getting better and better. Such is the case with our GetAway Travel Pinterest pages. Always room for improvement, but it is actually starting to look better. We have a wealth of great photos from our trips that we love to share to help inspire our clients. Eventually we will get more photos posted, but there is only so much time in the day – and – planning great vacations for you will always come first. For now, please enjoy and let us know what you would like to see more of. On our “Places We Love” board, we’re messing around with the new Pinterest feature that shows on a map where all the pins are located. We do have other passions besides travel! This entry was posted in Cinque Terre, Europe, France, Hawaii, Italy, Kauai, Mexico, Riviera Maya, Travel, Tuscany, Venice, Wine and tagged getaway travel, pinterest, room for improvement, wheaten, wheaten terriers, winery on March 23, 2014 by Paul - GetAway Travel Service. Even though our roots are in the land of the cheesehead, we aren’t talking Cheddar or the foam hat varietal. Today we are talking Italian cheese called Pecorino. 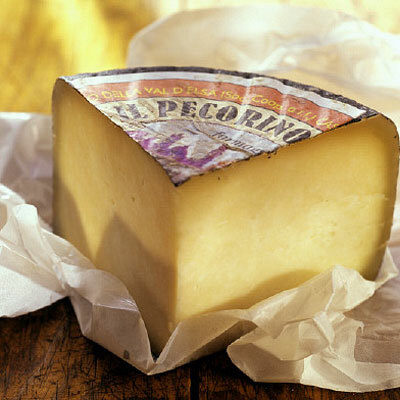 Pecorino is the name given to all cheese made from ewe’s (sheep) milk. There are 4 main types of Pecorino however the one most often available in the US is the Pecorino Romano. The other 3 are Pecorino Sardo, Pecorino Tuscano and Pecorino Siciliano. 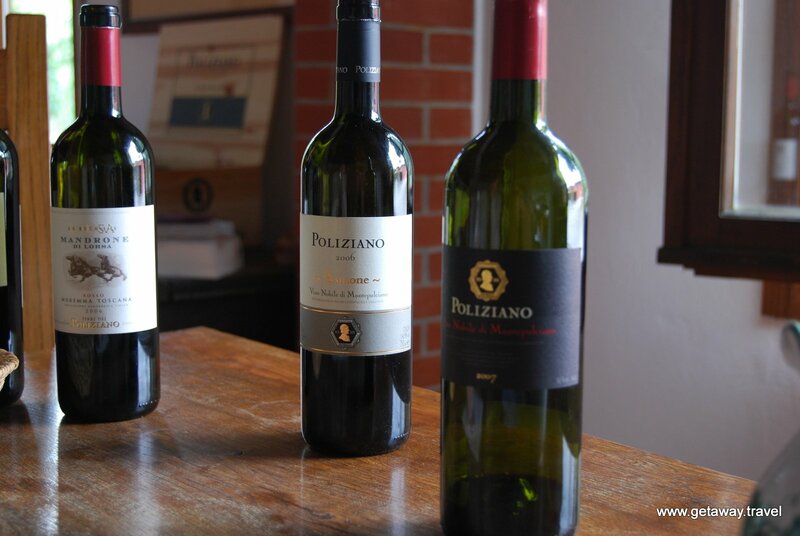 From their names you can guess that they come from different parts of Italy, Sardinia, Tuscany and Sicily. Each of these cheeses come in different styles depending on how long they have aged. The most mature is known as stagionato (seasoned or aged) are to die for! We’re talking a hard crumbly cheese with nutty and buttery flavors. These cheese are often served after dinner with pears, walnuts and a bit of honey…but we like them just about anytime especially with a bit of Italian red wine! One can find this lovely cheese in stores, deli’s and of course on market day but how cool would it be to go right to the source? That’s right, nothing could be better than visiting a local pecorino cheese farmer, have him show you how the cheese is made and then sit down and do some sampling with him. These out of the ordinary experiences are the things that make a trip special. This entry was posted in Europe, Italy, Travel and tagged cheese, pecorinio, sardinia, sardo, tuscano, tuscany on January 23, 2014 by Paul - GetAway Travel Service. We’re talking “market day” in Italy! Nearly every town in Tuscany and Umbria have a weekly market day and there is nothing more special than being a part of one. Usually held in the mornings, the town square is filled with dozens of trucks with literally everything from fruit to nuts. There will be stalls selling shoes, clothing, olives, bread, meats, cheeses and everything in between. Now don’t get us wrong, this is not a tourist attraction, this is how the locals shop and it’s amazing to be able to participate. We love to sample our way through the market, always buying things to eat throughout the rest of our trip or to pack for our family back home When we aren’t sampling we are photographing the array of items for sale. On our Wine Centric Italy trip in October 2014 we’ll be experiencing market day in Greve in the Chianti region. I know we’ve said it before, this is another one of those experiences you must have when visiting Italy. This entry was posted in France, Italy, Travel, Travel Agent, Wine and tagged chianti, food market, greve, tour, tuscany, umbria on January 22, 2014 by Paul - GetAway Travel Service.